Hey y'all! Happy Thursday! I'm already looking forward to an weekend with absolutely zero plans. I love having a weekend agenda that is full of fun but I equally love downtime and no schedule to follow. Today, I'm styling adorable and affordable jewels from the SugaxFix by BaubleBar collection that is available exclusively at Target! Everything in this line of jewelry is super budget friendly and so cute. 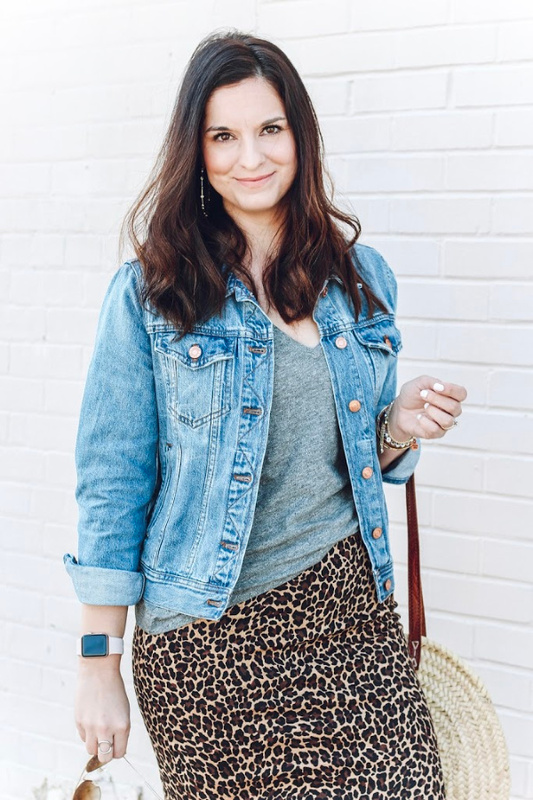 SugarFix let me choose two pieces from the latest styles to share with y'all and I'm so excited about my picks! I chose this Gold Filigree Pendant Necklace and the matching Filigree and Lace Cuff Bracelet in Black. Plus each piece is under $20 (I also always use my Target Red Card to save an additional 5% off of every purchase)! 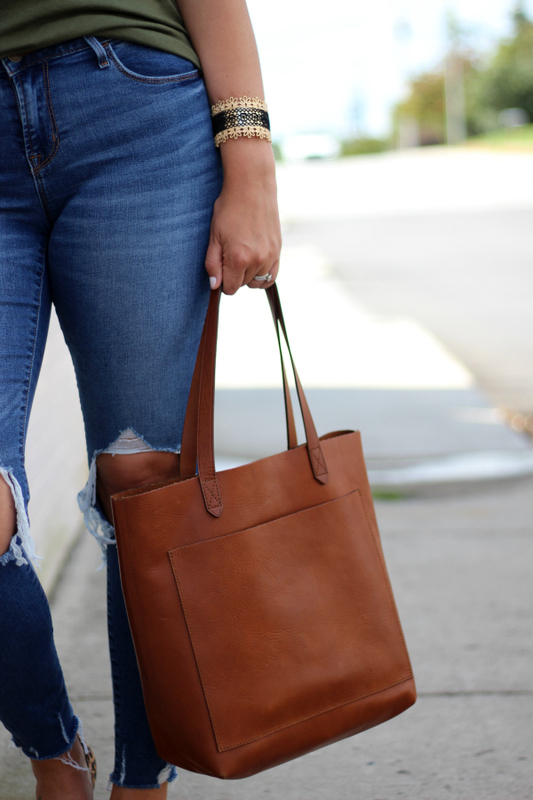 These gorgeous pieces will be the perfect finishing touch for my fall and winter outfits. 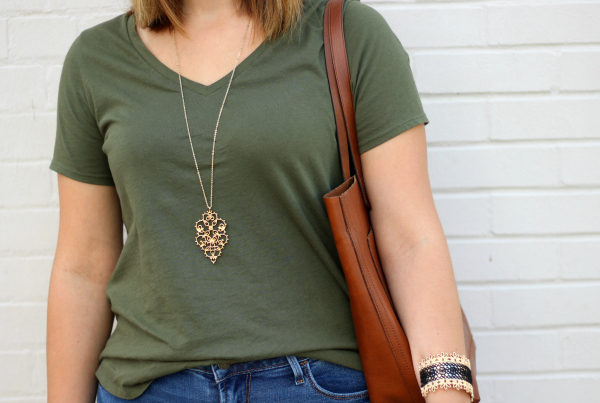 I paired by SugarFix jewels with a basic olive tee, distressed denim, and leopard flats for easy, weekend look but I would also wear these pieces with a dressier look, like a little black dress. They are such versatile items! 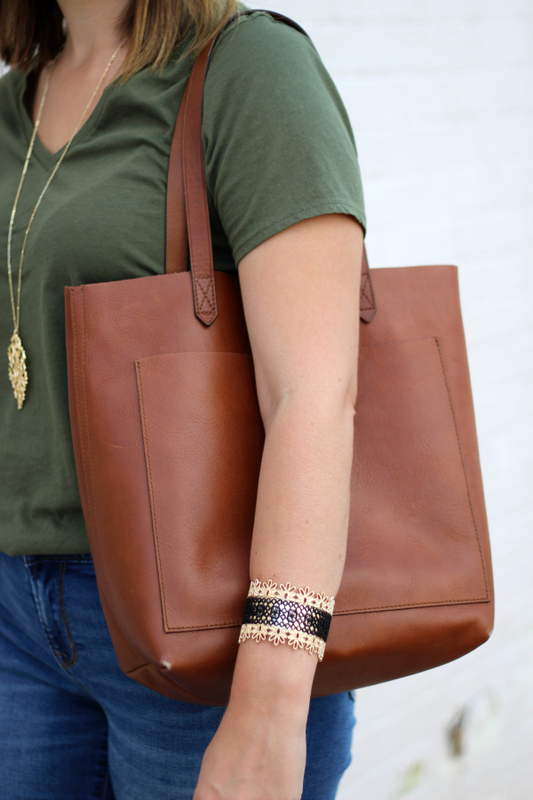 How would you style this necklace and cuff?! I am loving those pieces! So pretty! I love the jewelry! They're perfect for everyday-wear! love these flats! 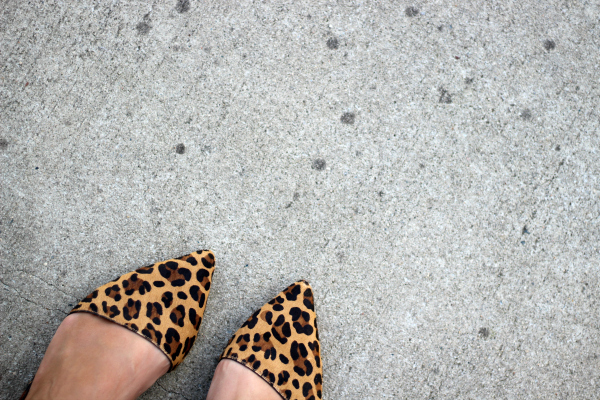 i have a pair of cheetah flats and i wear them all the time!!! I love SugarFix!! So glad Bauble Bar created more affordable pieces!! Love the baubles you are sporting and the leopard print shoes are so chic!